Abdi Warsame's campaign has an ambitious mission: Change the way his fellow Somali-Americans see politics. Although Warsame has never run for office before, last month he won the DFL party endorsement over a three-term incumbent. 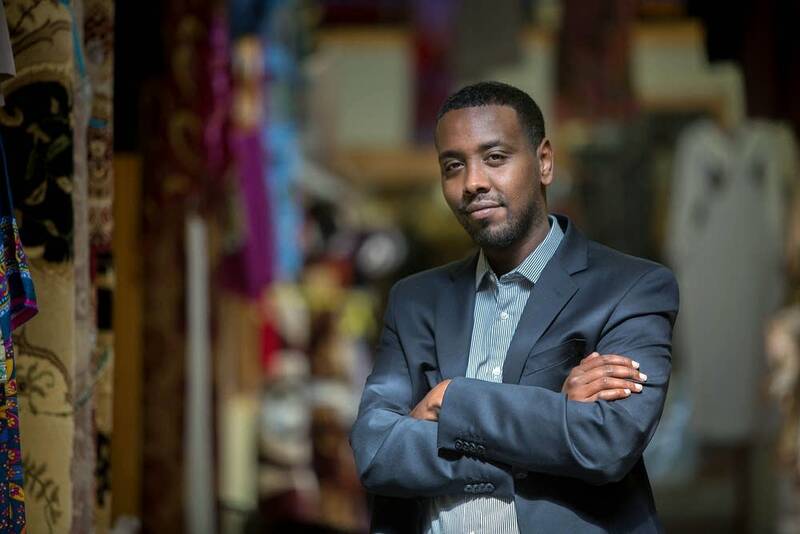 If successful, he could be the first Somali-American elected to the Minneapolis City Council. "This community that I'm from doesn't believe in the system. They only think President Obama solves problems," Warsame said. "So when there's a presidential election, they get very excited. But they don't understand that what actually impacts their lives is dealt with not by the federal government, but by the local government, the city." Warsame ticks off a list of concerns facing his community: jobs, roads, housing, youth in need of mentors. He says his campaign has mobilized a community that now understands city politics matter. As evidence, Warsame points to the Minneapolis DFL Ward 6 convention last month when his supporters dominated the delegation and easily handed him the party endorsement. "You see these old ladies waving American flags, with the hijabs, and crying and feeling that they were part of the system. And I think that's the most powerful thing, and that's what motivates me," Warsame said. Warsame has lived in the United States for just seven years. Born in Somalia, he moved as a young child with his family to London where he grew up. He earned a master's degree in international business there and is currently the executive director of the Riverside Tenants Association, which advocates for the 4,000 people who live in the Riverside Plaza high-rises. 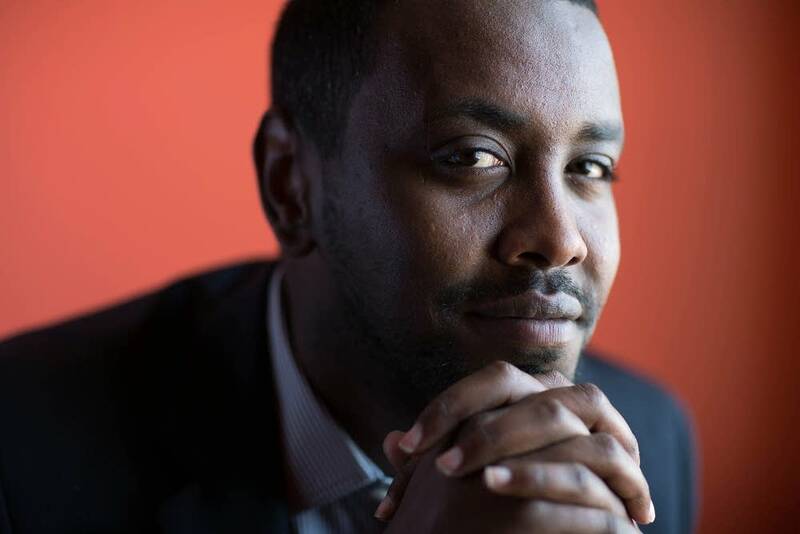 Warsame's first taste of politics came in 2011 when he worked on the campaign of Mohamud Noor, who narrowly lost the DFL primary for a state Senate seat. Warsame saw that if Somali-Americans could consolidate their voting power, they could wield more political influence. At a series of public hearings last year, Warsame pushed Minneapolis to redraw its political districts in a way that maximized the East African community's voting power. "If this map is approved, our community will have greater confidence in the American system and way of life," Warsame told the Minneapolis Charter Commission at a hearing that March. The commission complied. The new map concentrates as many East African voters as possible in a single city council ward. That's the ward Warsame is running in, and it's the one currently represented by Councilmember Robert Lilligren. Lilligren disagrees that consolidating Somali-American voters empowers them. He argues it is better to have a diversity of cultures. "And that means that people need to figure out how to work together, work across cultural lines, racial lines, language lines, economic lines. And I think that's very healthy," Lilligren said. "I think in that type of an environment, someone like me -- kind of a screamy Phillips activist, Native American, gay -- can get elected." Lilligren also disapproves of the way Warsame won the DFL endorsement. He says Warsame's campaign played dirty during the precinct caucuses. "There was bullying, intimidation, suppression of participation; what I would call deliberate confusion of the process," Lilligren said. "Many of my supporters in the East African community/Somali community expressed to me that they were afraid to participate." Some of Lilligren's supporters also allege Warsame's campaign attacked Lilligren for being gay. Lilligren's campaign has asked the DFL to rescind its endorsement. Another candidate, Mahamed Cali, has also filed a complaint with the DFL. Warsame calls the allegations "absurd," and said they insult the more-than 1,300 people who turned out at the caucuses. "When you play down the achievement of a whole community; when you play down the achievements of these old people, these new Americans who want to participate in the system and say they were successful only because of harassment, I think that's terrible," Warsame said. The Minnesota DFL party is scheduled to rule on the matter In June.